I wanted to use the Ruby Spot light as a platform to introduce you all to real people in the community who are doing great things; and to celebrate the wonderful work happening all around us each and everyday. They are true examples of #blackwomanmagic and #bigthingspoppin. I hope sharing their stories will inspire and motive you to pursue your dreams and aspirations as well. Our Inaugural Ruby Spotlight shines brightly on Ms. Jasmine Jones, the current Miss District of Columbia USA titleholder. When she received the call to fulfill the duties of Miss District of Columbia (when her good friend Deshauna Barber won the title of Miss USA) earlier this year Jasmine hit the ground running and never looked back. She recalls barely getting sleep the first two weeks, making notes and mapping out a plan to ensure she uses her platform to make a difference not just locally, but globally. Jasmine and I first met at a Fashion Show for Signature Dresses boutique in Georgetown. She was kind and poised, we shared a few laughs and agreed to meet again for a sit down chat. When we met again Jasmine was coming from the Special Olympics competition on the campus of Catholic University; which she is familiar with being a native Washingtonian. Jasmine attended the now named Maya Angelou French Immersion school. As a student there she became fluent in the French language. She went on to matriculate from Frederick Douglas High school and Graduated with her Bachelor’s Degree from Trinity University in DC. Jasmine is no stranger to hard work. In order to avoid student loan debt she worked as an Assistant Manager at Nordstrom’s in addition to being a full time student. She started as an intern and soon was supervising a staff of 9 employees at the age of 22. Discipline and commitment were taught at a early age. Jasmine grew up the middle child of 3 girls. Growing up she had not envisioned herself participating in the pageant scene. Her friends and family lovingly called her “Professor” because this self proclaimed “Nerd” always loved to read and was intrigued by science. She though she might even pursue a career in medicine. Prior to the Miss District of Columbia contest Jasmine had only been on the pageantry scene a brief moment. Her mother being a pageant Queen herself encouraged her to try. She competed for the Miss Black District of Columbia USA 2016 crown and won and then she competed for the Miss District of Columbia title. Deshuana Barber (Current Miss USA) and Porcha Lee Taylor (Current Miss District of Columbia United States) were among the contestants to also compete that day. At the time of the competition Jasmine made it all the way to Top 10, but she did not win that day. Her Pageant Sister Deshauna Barber received the crown. Jasmine, Deshauna and Porcha lovingly refer to themselves as “the Trifecta”. At the Miss DC competition that day, they made a pact to support each other no matter the outcome, and that they do! Jasmine shares, “there’s no such thing as competition between us, we are a sisterhood”. Jasmine is very passionate about literacy and loves to encourage early childhood reading. She visits area schools to speak with students and assure them that being a nerd is alright. Her memorable visits include reading The Little Engine That Could to DC Kindergarten students; and speaking with young girls. Encouraging them to not quit on their dreams, and reminding them that anything is possible. Jasmine is also the Goodwill Ambassador to Sierra Leone. This relationship is important to her because during the Ebola crisis the country suffered a huge loss and the entire city was shut down, including libraries. Students did not have access to books for many months while the crisis was being contained. Jasmine is developing a Global Literacy Initiative Foundation to ensure that students all over the world have access to books within their respective home. She is excited to use her platform to make a global impact. She shares, “I want to use Miss DC to help people, not just to be a celebrity or wear nice dresses…”. 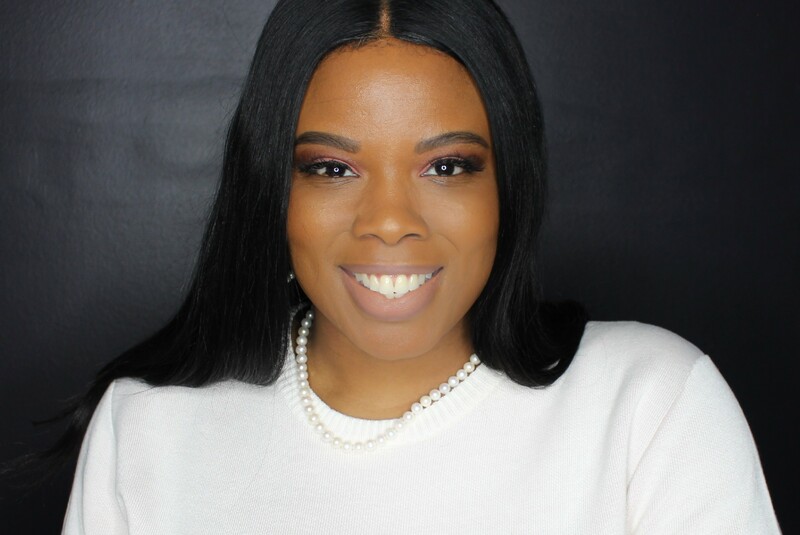 Jasmine is also a member of the DC Statehood Speakers Bureau which is the committee assembled to help make the District of Columbia the 51st state. Jasmine acknowledges that her mother, or “momager” as she jokes, is a huge encouragement and support for her throughout her experience. Also, Carla Crawford the Director of PR Pageant Coaches. Jasmine recounts that without their media and PR Coaching she would not be the polished woman that she is to date. Additionally, she met Deshauna and Porcha through PR Pageant Coaches hence her sisterhood and support circle continues to grow. Jasmine encourages young women to be around women who are doing something; “being around women doing incredible things motivates me”, she said. During our chat Jasmine also took a moment to thank her sponsors because she understands that it takes a team to make the Miss DC train run smoothly. Signature Boutique of Georgetown (which is where I met her) outfits her for various occasions. Sean Bellamy of Be Made provides single strap stilettos to match all diverse skin tones. Haate Hair extensions makes sure there isn’t a hair out of place and Southern Flare provides her eyelashes. Jasmine also wouldn’t be able to do what she does without the flexibility and understanding of her support system at her full time position. As a real estate developer she truly enjoys what she does. Working on projects from inception to birth, from architecture to contracts; she very grateful to have the opportunity to work and live in DC and do what she loves and make a difference. This Ruby is one of three current African American Women to hold a National Pageant Title and crown (Deshauna Barber, Miss USA and Porcha Lee Taylor, Miss DC United States are the other two). That alone is #blackwomanmagic! Once her reign comes to an end this local Queen has some difficult decisions to make…where to get her MBA. Deciding between Harvard University, which has always been her dream school; or pursuing higher education in France, where their education system is free and offers the benefit of a global perspective. No matter her decision, Jasmine is sure to do more wonderful things, as her journey is just beginning. Jasmine is a great example that being open to new experiences and embracing the unfamiliar can open doors that you may not have imagined. Outfitted with intelligence, grace and beauty she wears her crown well. Shine on Ruby, shine on! The Miss District of Columbia Pageant will be held on December 17, 2016 at the Renaissance Hotel on 999 Ninth Street, Washington, DC 20001 street. Come out and see who will be crowned next!